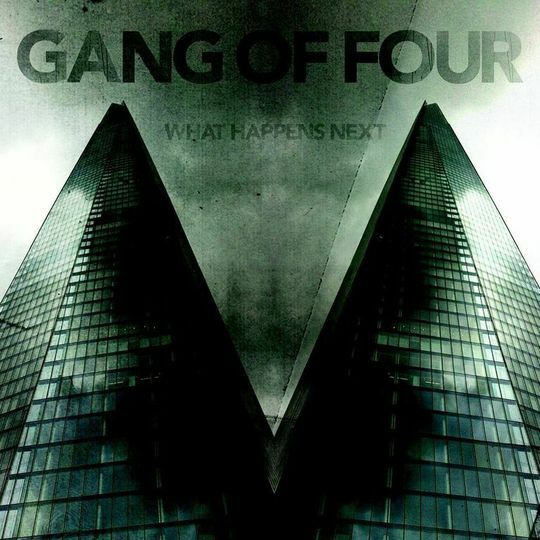 What Happens Next is the eighth studio album by English post-punk band Gang of Four. It was released on 24 February 2015 through Metropolis Records and Membran record label. It is the band’s first album to feature John “Gaoler” Sterry on vocals, following vocalist Jon King’s departure, which left the guitarist Andy Gill as the sole original member of the band. The album features contributions from Alison Mosshart of the Kills and Dead Weather, German musician Herbert Grönemeyer, The Big Pink member Robbie Furze and Japanese guitarist Tomoyasu Hotei. Following the release of Gang of Four’s seventh studio album, Content (2011) and accompanying touring, vocalist Jon King left the group because “he didn’t want to tour anymore.” Gill stated that he saw this as an opportunity to do some collaborations and decided to release the new material under the “Gang of Four” name. John “Gaoler” Sterry eventually joined the band as a vocalist and Gill contacted Alison Mosshart and Herbert Grönemeyer for collaborations.The album also features performances from both the band’s previous drummer Mark Heaney and the current drummer Jonny Finnigan. The track “Broken Talk” was first streamed in 2013. In November 2014, it was revealed that the band recorded a new version of “Broken Talk” for the album, featuring Mosshart on lead vocals. The music video for the track “England’s In My Bones”, featuring Mosshart was released on 5 February 2015.